Lighting is one of the most important aspects to get right when furnishing your home. It dictates the atmosphere and feel of your space, as well as proving beautiful designs to complement your existing furniture. There are some types of lighting that won’t ever go out of style (classic glass pendants or functional table lamps, for example) but there are new styles pushing the boundaries of lighting design that are definitely worth our attention. Our buyers travel all over the world visiting design shows to identify the latest trends in home and lighting. 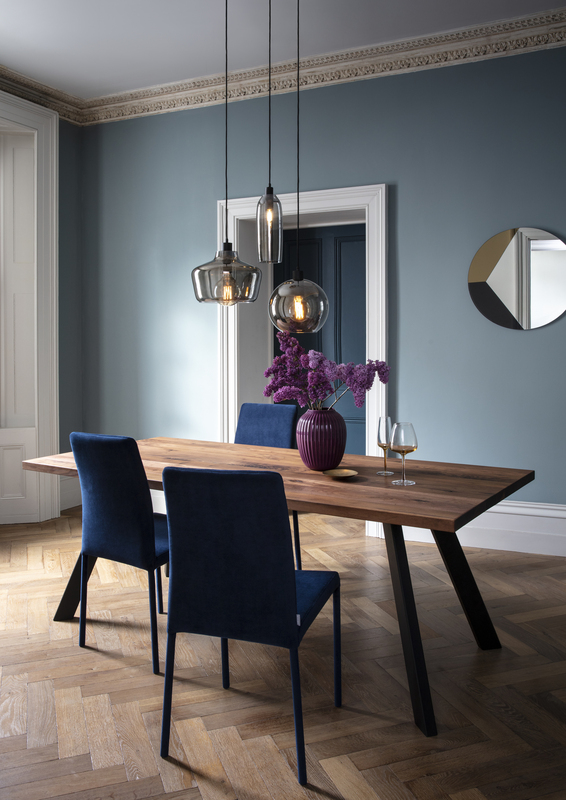 From Stockholm to Milan, they’ve gathered their insight and curated a list of three lighting trends set to rise to prominence over the coming year. First on the list is white lighting. It’s often thought that cooler ‘white light’ makes a home feel cold and clinical. But developments in technology have allowed beautiful white finishes to emit a softer, warmer glow allowing us to bring these stylish pieces into our home. Copper and brass have dominated pendant and floor lighting for many years and still prove to be popular. But white offers a contemporary alternative – designs look particularly stylish against a dark, coloured backdrop or are equally perfect in minimal spaces with a restrained colour palette. For Spring/Summer 2019, we introduced a brand new range of white lighting that is gentle, feminine and perfect for minimal interiors. 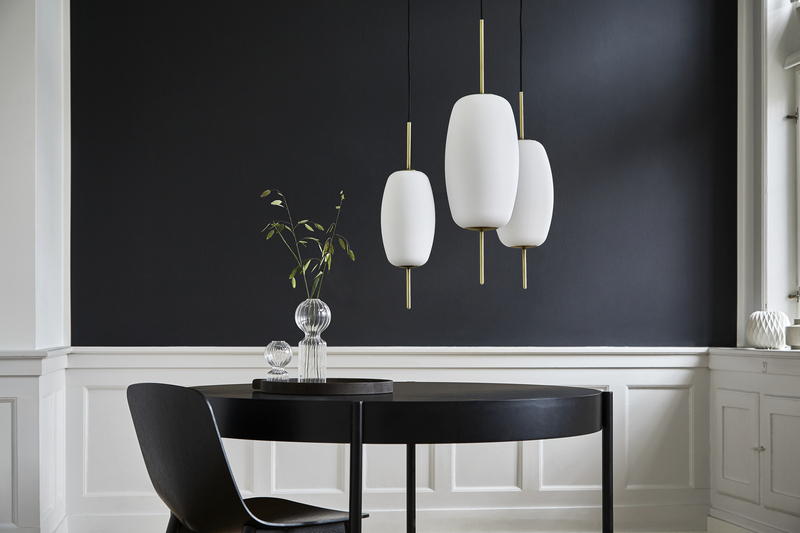 With finishes such as hand-blown glass, brushed brass and delicate tassels, this collection ticks all the trend boxed whilst remaining quietly understated. Designers have long looked to the skies for inspiration when it comes to lighting. It’s an easy jump to make – the ultimate sources of light are the sun, the moon and the stars. But now the trend is evolving from simply referencing their look to exploring the paths these celestial bodies trace across the skies. These designs play with proportions of vertical and horizontal space and incorporate modern chandeliers and multi-arm designs. These are meant to mirror the trajectories of planetary and lunar orbits, rather than the reference the planets themselves. 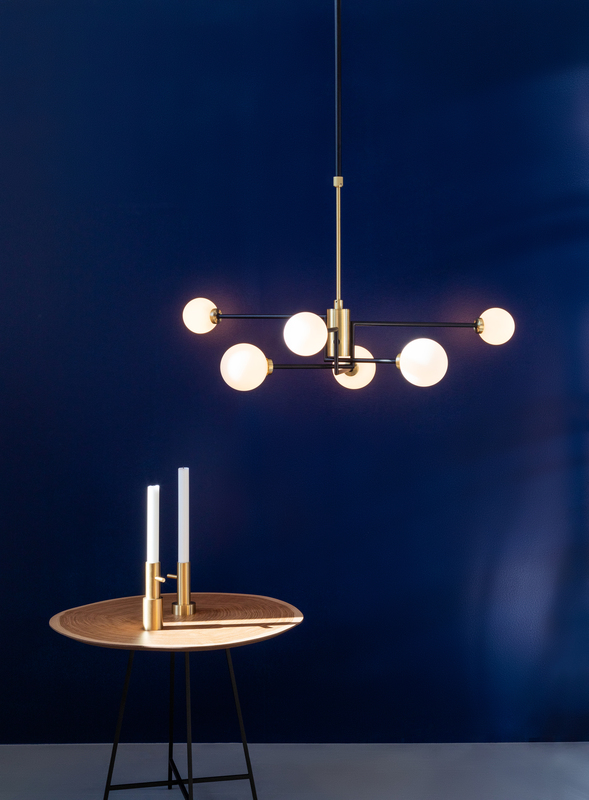 The Mega Junction Chandelier and Joule Collection are perfect examples of the trend with bright orbs of light sitting at the end of linear arms, alluding to the movement of the sun, moon and stars. Linear pendants over kitchen tops and dining table will remain popular but a new way to style lighting is also emerging. Hanging pendant lights at different heights, in different sizes and in clusters are a much more striking way to draw the eye. Think of it as layering but for lighting. Hanging differently sized pendants at different heights is an interesting alternative to simply hanging 0one oversized design above a dining table or bed. Tom Dixon’s popular Melt range leads the way in terms of ___ but there are much more understated ways to bring the trend into your home. ← What do we look for in home design when buying a house? What do we look for in home design when buying a house?